Velux Skylights - Available in Perth Perfectly designed to withstand the world’s harshest climatic conditions, all VELUX products are of the highest quality and will perform superbly for a lifetime of faultless service. VELUX Skylights and Roof Windows are included in the National Energy Rating programme (AccuRate) as well as State run programmes such as Basix & FirstRate. Tested and approved to Australian Standards When installing VELUX Skylights 3m or higher above floor level, 2004 High Performance glazing must be used to comply with Australian Standard AS 1288 (i.e. sloped overhead glazing must be laminated glass). Please view the Velux Brochure below for all Skylight products. Perfectly designed to withstand the world’s harshest climatic conditions, all VELUX products are of the highest quality and will perform superbly for a lifetime of faultless service. VELUX Skylights and Roof Windows are included in the National Energy Rating programme (AccuRate) as well as State run programmes such as Basix & FirstRate. Tested and approved to Australian Standards When installing VELUX Skylights 3m or higher above floor level, 2004 High Performance glazing must be used to comply with Australian Standard AS 1288 (i.e. sloped overhead glazing must be laminated glass). 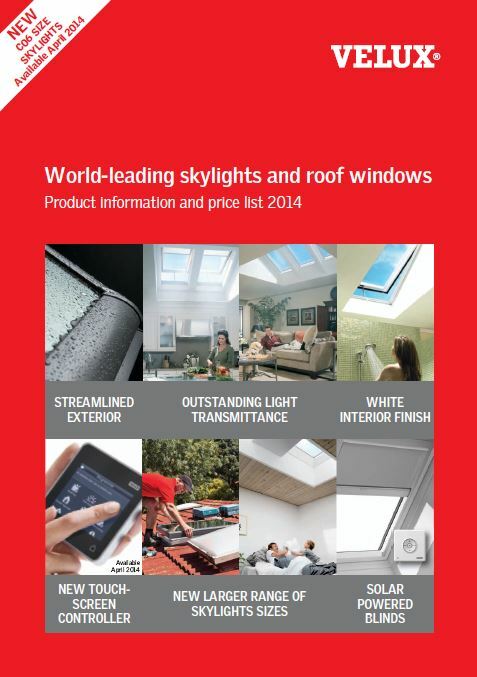 Please view the Velux Brochure below for all Skylight products. Please allow a $60 administration fee for all orders.